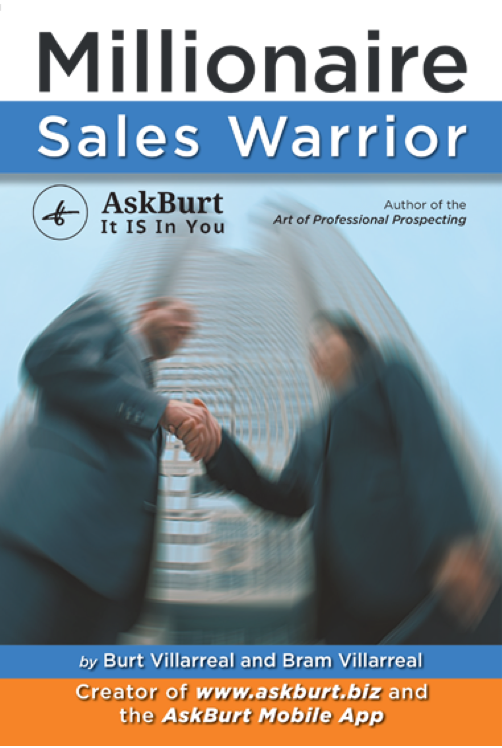 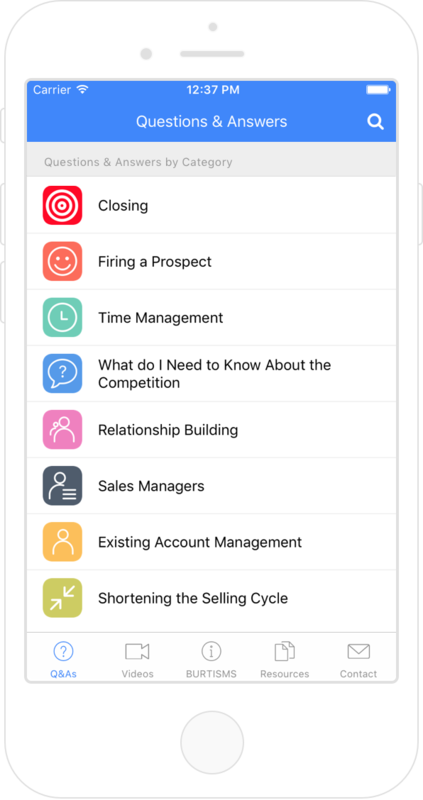 AskBurt guides you with the 150+ strategy questions and TO-THE-POINT answers required for the ultimate success of the Sales Warrior. 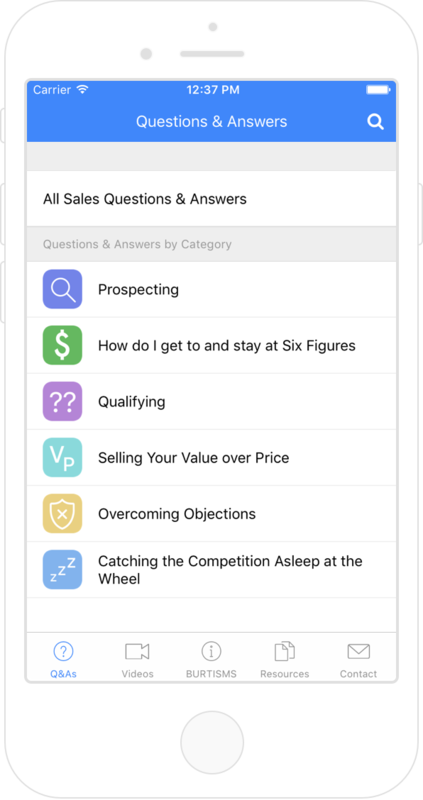 The Art of Professional Prospecting is all about motivating you, the Sales Warrior, to conquer your competition with increased net new prospecting. 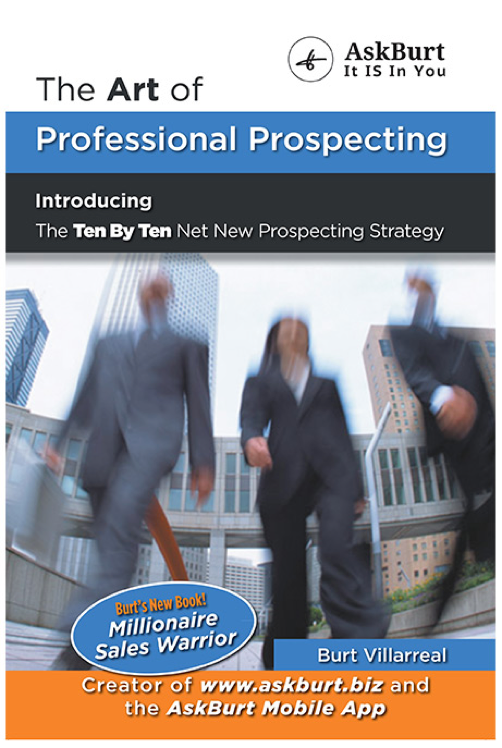 Millionaire Sales Warrior will guide and coach the Professional Sales Warrior with the components needed to achieve financial success - Millionaire Success!